If you’ve got audio generated by or recorded in Reaper that you’d like to run through external hardware via your Saffire Pro40, this walk-through is for you. Before you make any connections, make sure that your monitors are off, your headphones are unplugged, and all gain knobs on the Pro40 and your external gear are all the way down. Whenever you’re looping anything out of and back into your interface, you run the risk of creating a feedback loop. In the event that you miss a step and produce a loop, leaving your monitors off and gains low will give you a chance to see any visual indications of feedback on the meters before you damage any equipment. Last week I talked about how great the Push was. It’s still great, and I still don’t have one, but the scripts I made for FL Studio let me close my eyes and pretend a little. But what about other Digital Audio Workstations? Anyone using Ableton Live will probably make use of the built-in scripting options to make your own Push-ified Launchpad. Motscouscous.com really dug deep into the Python scripting for Ableton and made a ridiculously functional Push emulation available HERE. 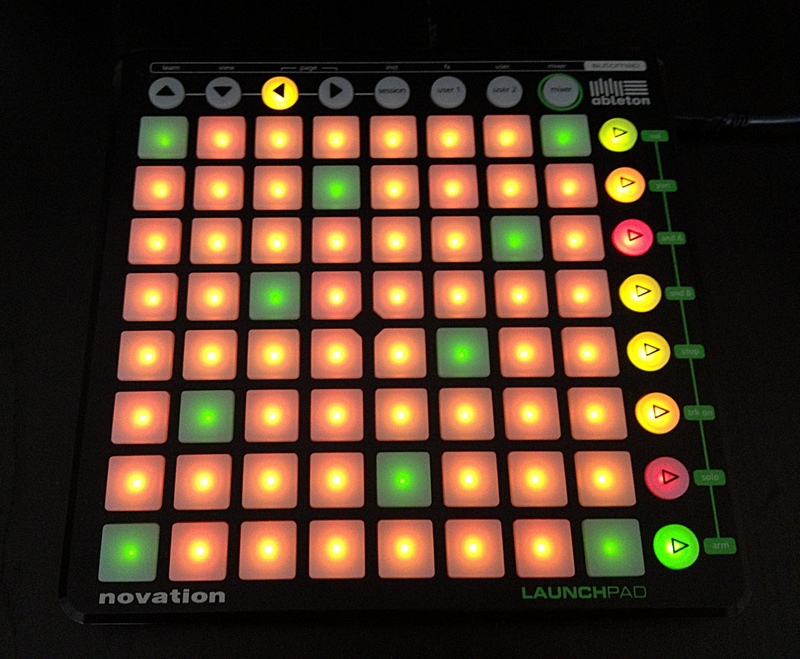 Katapult is a very flexible mapping application for the Novation Launchpad and apple iPad. It allows you to map customisable multipage layouts to the Launchpad or iPad and send the MIDI output to any MIDI application or device. Katapult supports bi-directional communication, meaning that your software can update the controls on the Launchpad or iPad surface. Alongside some great built-in controller layouts, you can script your own pages (up to 16) by editing ‘layout.txt’ in the Katapult’s home folder. I’ve created 8 pages of Push-style keyboard layouts available HERE. You can use this file to replace the original OR you can open your current layout and paste the text at the end. Be sure to rename the page numbers at the beginning of each layout page to numbers that are not already taken. I recommend 9-16, as it will give you the native Katapult functions on the first row and the Push scalar layouts on the second. With the release of FL Studio 11, FL Studio now tightly integrates with the launchpad. In addition to some pretty handy premade tools (including one or two of those awkward note layouts I was lamenting earlier), they’ve included the ability to create your own scripts. Everything can be edited in Notepad. Command lists and language can be found here: http://forum.image-line.com/viewtopic.php?p=672604. I’ve whipped up 7 different scales in the key of C. Feel free to use or edit these scripts. Just copy and paste them to C:\Program Files (x86)\Image-Line_FL11\FL Studio 11\System\Hardware specific\Novation Launchpad (this may be different depending on your machine and how you chose to install FL Studio) and delete the name of the scale from the filename (“Page15 Lydian.scr” should read “Page15.scr”). You sought help in various video edtiting and post production forums. The advice you got probably centered on your lighting. “You have to have perfect lighting, and a perfectly smooth green background with no variation in shading or color whatsoever,” they told you. Welcome back! Last time, we went over the initial setup of the Launchpad as Monome and reviewed rudimentary use of the beat shuffling program MLR. If you’ve gone through that how-to, you’re prepared for what will follow in this article. If you haven’t, I highly reccomend you complete at least the first part (Initial Setup) of that tutorial. If you’ve got no need for beat shuffling, you can skip the MLR portion. So, you’ve finally got yourself a launchpad. You’ve installed the drivers and the ‘Launchpad Edition’ of Ableton Live. . . .
. . . and you are totally underwhelmed. The clip launching is nice but that’s not what you got it for, is it? You want to slice clips, make drones, and step sequence monome style.